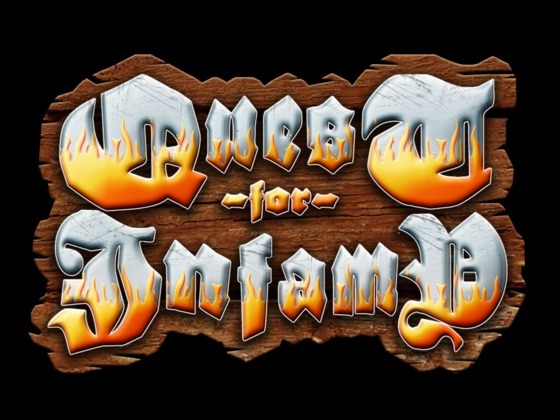 Graphic adventure game veterans Infamous Quests just released an expanded demo for their Kickstarted creation, Quest for Infamy. This time, a native Linux port is included, both 32 & 64-bit! Download it if you fancy a hilariously ribald and twisted take on the style of graphic adventure pioneered by the classic Quest for Glory series. QFI's new demo incorporates improvements based on suggestions by you, more art and improved music and sound FX! We have new backgrounds in game from Elissa Ng, Ivan Ulyanov, Matt Oates, Jason Lamb and Jon Stoll! These artists have been toiling very hard over the past months to make QFI a visual treat, and we hope you like the new areas to explore, and the art this group has created to take you there. James Mulvale has remastered all of his compositions and has them sounding better than ever. We have over 10 original compositions in this little demo - and the full version of the game promises more, including several "performed" songs as well. Right now, we have it for PC and LINUX. A Mac port will be coming shortly! The Linux community really stepped up to help make the Linux build happen, as IQ are a small team. Should be a nice treat for fans of adventure games! The group for gamers dedicated to Linux. No matter if game developers or game players all are welcome interested in Linux as a gaming platform. Infamous Quests is a team of gamers and game makers dedicated to making engaging retro style games. This group is for developers and community members of the Free/Open Source Desura client known as Desurium.